The City of Long Beach will be recognized by the American Planning Association next month for four planning projects and initiatives “demonstrating outstanding planning work that serves to create more livable, vibrant and inclusive communities,” city officials announced recently. The Los Angeles section of the APA, which recognizes and celebrates noteworthy planning projects, plans and programs in the Los Angeles region, will present the awards on June 7. The city was recognized for its vacant lot registry ordinance, UAIZ, which offers lower property taxes on certain vacant lots and allows for more access to locally grown produce while reducing blight on vacant properties. Read more here. 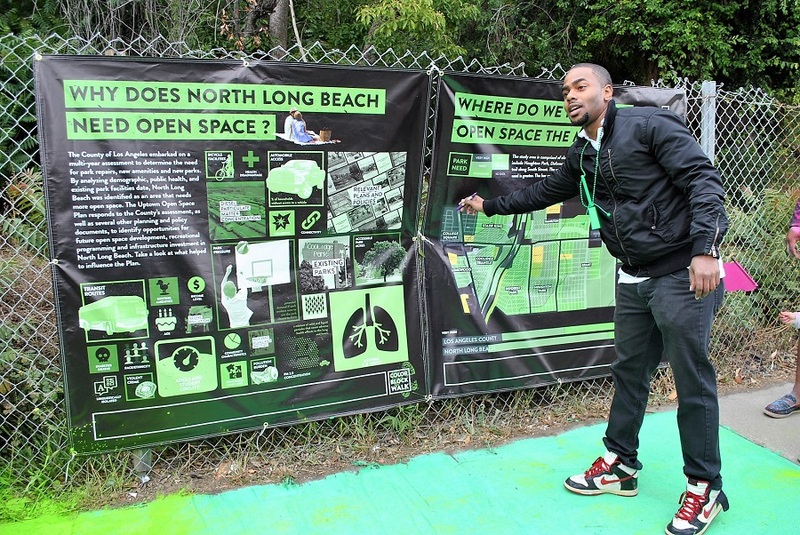 Led by Vice Mayor Rex Richardson’s office, in partnership with the city’s parks and health departments along with nonprofit design studio City Fabrick, the Plan used community input to identify and enhance open spaces. It culminated with a “Color Block Walk” event where residents used washable color powders to express possibilities for additional open space. To see our photos of the event click here. Once known as one of the most dangerous intersections in the city due to traffic collisions, the area was redesigned as a green space in a park-deprived area of Long Beach. Led by the parks and public works departments, the city partnered with City Fabrick to to redesign the space, using creativity, stakeholder engagement and advocacy for open space. Read more here. The 2017 annual reports for the Long Beach Development Services Downtown Plan Update, Planning Commission and Cultural Heritage Commission “creatively showcase a year of achievements and communicate the city’s commitment to public engagement in urban planning, development, cultural preservation and economic growth efforts,” according to the release. This is the fifth year in a row that the city has been recognized by the APA for its accomplishments in regional planning.